Based in Wilmington, N.C., GEH is a world-leading provider of advanced reactors and nuclear services. Established in June 2007, GEH is part of a global nuclear alliance created by GE and Hitachi to serve the global nuclear industry. 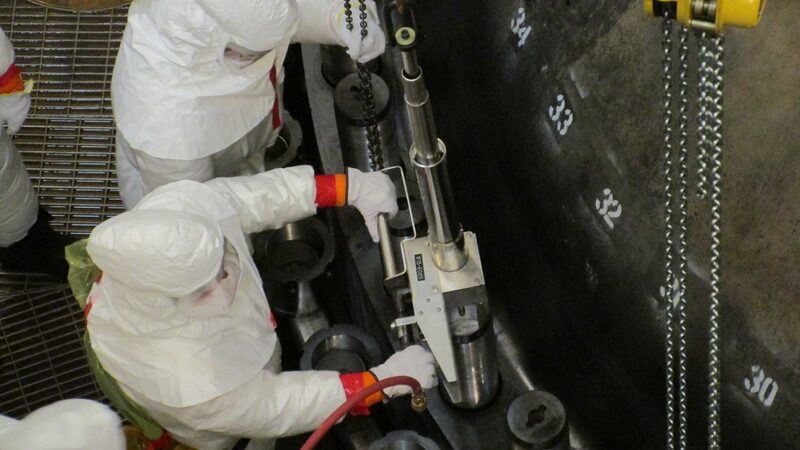 The nuclear alliance executes a single, strategic vision to create a broader portfolio of solutions, expanding its capabilities for new reactor and service opportunities. The alliance offers customers around the world the technological leadership required to effectively enhance reactor performance, power output and safety. GE Hitachi Nuclear Field Services is seeking internship candidates for its Field Services business. Candidates will have the opportunity to work with experienced field service engineers in a fast-paced challenging environment performing maintenance activities on Boiling Water Reactors. You will have the opportunity to attend entry level technical training as well as travel to a domestic nuclear refueling outage. At the outage, you will be required to gain unescorted access to the plant site and participate in outage activities. Internship Dates: January 8, 2018 to June 1, 2018. Internship will be based in Wilmington, NC. Intern is expected to work at one or more field assignments (nuclear power plant outage) in the US. This internship is posted in ePack. For questions, contact Thad Leister.